Swag style is all about using fashion to express your identity and personality. It involves buying new, trendy, and meticulous clothing in the most appealing labels. It's also considered an attitude and having a confident sense of who you are and what you like through the way you dress. Creating swag clothing looks for boys is easy once you know how. There are many different options available when it comes to dressing young boys in swag clothing. 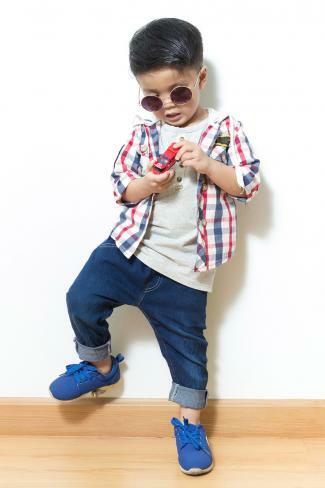 To rock casual swag for everyday affairs, have your kid throw on a plaid button-up shirt over a basic tee and slim-leg indigo denim jeans. Finish off the aesthetic with branded sneakers from a major sports label like Nike or Adidas. You can even roll up the bottom of his jeans and add a pair of sunglasses for an effortless edge. Even though swag style is mostly considered casual, you can dress it up for smart casual events by opting for a white short sleeve button-down shirt with tailored pants or chinos. Polish off your little boy's appearance with sharp-looking leather sneakers or Vans. In terms of accessories, coordinate his leather shoes with a matching belt. 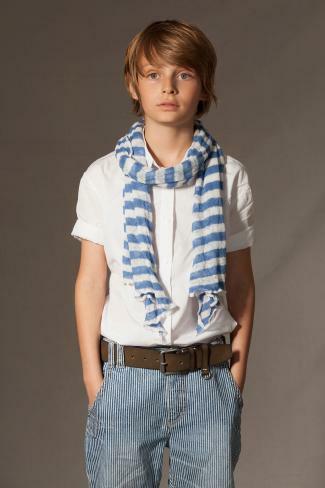 Then implement a striped scarf in colder weather to add a touch of European flair. 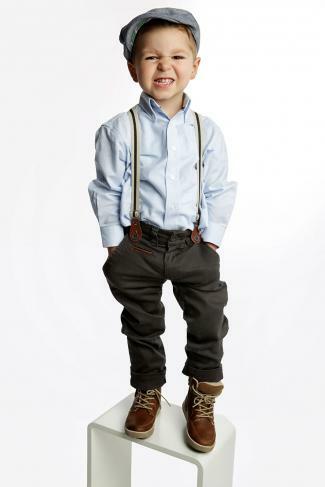 Another classy option for special occasions is to dress dress your boy in a long-sleeve Ralph Lauren button-down shirt and tailored pants with braces for a cute, unconventional aesthetic. In terms of footwear, choose Timberland over-the-ankle boots to amp up the attitude. Then merely add an eccentric flat cap or hat to complete the look. 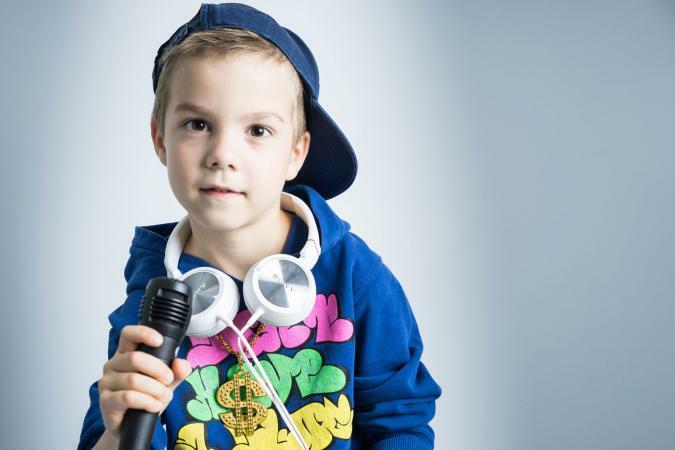 To channel full-on Justin Bieber swag, grab a white sleeveless tank top and baggy jeans for your little boy to put on. Follow this up with a zip-up hoody (worn open) and a snapback hat. If you want to add a pop of color, utilize the hoody and hat. Simple yet effective, this look is undeniably swag. Another smart casual swag option is a long sleeve button-up shirt with faded or ripped jeans. However, unlike the traditional swag aesthetic, this outfit provides a fun and playful alternative if you opt for an individualistic print or a multitude of hues. Even better? Add a pair of sunglasses with tinted lenses that pick up and match one of the colors in his outfit. 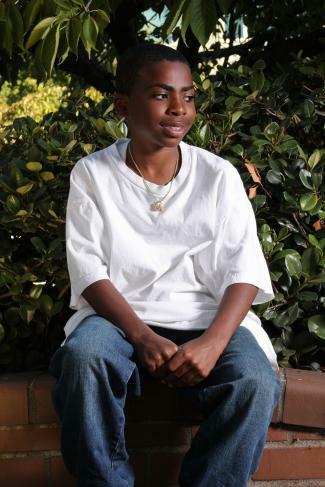 Perhaps the most straightforward and classic swag style, get your kid to throw on an oversized basic white t-shirt with baggy skater jeans, shorts or cargos. Finish the outfit off with the trendiest, coolest sneakers, a cap, and a gold chain. This look is ideal for everyday casual wear or days when you're in a hurry to leave the house. 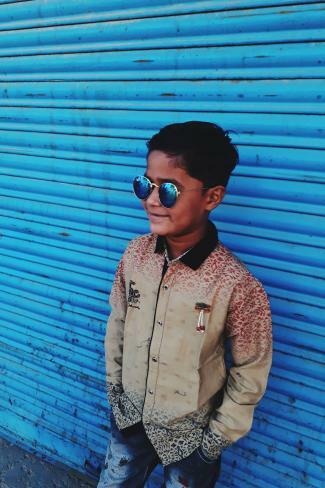 The latest trends - Swag clothing is largely influenced by current fashion trends, so make sure that you're in the know by doing your research before you go shopping for your little boy. Check out fashion blogs and trendy magazines for inspiration. Current celebrity icons - The swag style was originally influenced by hip-hop music artists before it filtered down into mainstream music. Look to celebrity icons of the moment, like Justin Bieber and Zayn Malik, to make sure that you're doing swag clothing right. Popular brands - Swag fashion is heavily influenced by popular brands and retailers of the moment, such as Nike, Chuck Taylor's, Hollister, and Levi's. If you're unsure what's on trend, simply people-watch as you're shopping at top stores to see what everyone else is wearing. Swag clothing is about adopting the right attitude as well as wearing the latest trends and clothing that reflects your boy's personality. Make sure that you do your research and shop around to find out what works for him in terms of both fashion and function.